Davey Auto Sales > Uncategorized > What Kind of Truck Are You? The vehicles we drive can often say a lot about us. While it may not be an exact science, there tend to be similarities between the people who drive certain types of vehicles. 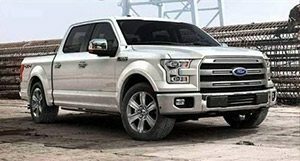 Pickup trucks are the perfect example; there are so many companies making pickup trucks of all shapes, sizes, and abilities that it’s easy to find the pickup that suits your truck personality. 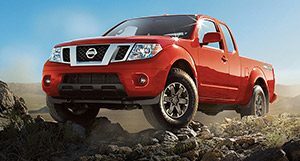 The Nissan Frontier is a capable mid-size truck that is often noted for its off-road capabilities. It’s the right size for day-to-day driving and easy parking in your driveway beside your second vehicle or trailer. Many Frontiers have 4x4 capabilities and are packed with useful features. Truck Personality: You’re the adventurous do-it-yourselfer who likes to get out on your mountain bike on the weekend or tow your Sea-Doo to the lake. During the week, when you’re not at the office, you like to complete projects around the house and in the backyard. You’re as capable and versatile as your truck, the Nissan Frontier. The RAM 1500 has always been a recognizable pickup truck. 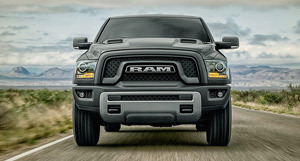 With a big, bold front-end and distinguishable mirrors, everyone knows when a RAM 1500 is coming down the road. The RAM has always been known as a superior work truck, capable of hauling heavy loads to the jobsite, or towing a big travel trailer on a family adventure. Truck Personality: You’re a serious person who needs a serious truck. Whether you work in landscaping, construction, or as a contractor, you’re serious about your truck because you rely on it day-in and day-out. That serious personality shows cracks when you get away from it all and head out with your buddies for a weekend of fishing and camping. 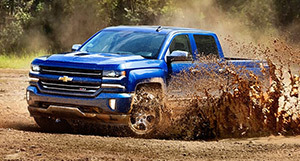 The Chevy Silverado and GMC Sierra are really similar trucks—you can even call them cousins. The GMC tends to have a more “luxurious” reputation while the Silverado is just as capable but often viewed as more of a pure work truck. Well, even this pure work truck is comfortable, safe, and full of useful features (dependent on the trim). Get all the modern conveniences you need in a pickup that’s ready to work. Truck Personality: You’re not worried about reputation, you’re just worried about getting a job done properly. Whether you’re at a job site or hauling some wood back home to make a tree fort for your child, you’re focused on the job at hand and want a truck that’s there for you every step of the way. Ford has a wide range of F-150s, all with different features and capabilities. The Ford F-150 Lariat combines the hauling and towing capabilities you expect in a work truck with some of the finer things in life. The Lariat gives you leather heated/cooled seats, navigation, sunroof, and a tow package, just to name a few of the included features. Truck Personality: You work hard and you know it, so you have no problem paying for useful features and some luxuries as long as the truck is capable and a good value. You’re not flashy, but you’re confident—which is exactly what many people say about the F-150 Lariat. So, truck shoppers, what do you think of these truck personalities? Are any of them accurate? Reach out anytime and let us know what your truck personality may be.